Enjoy this warm weather or your January thaw, because it will not last. Weather model data is already pointing to a much more stormy and cold period moving in towards the end of January and at least part of February. We see real evidence that blocking in Greenland should occur during this time period (See Above). So, what do that mean for the Southeast in terms of weather? 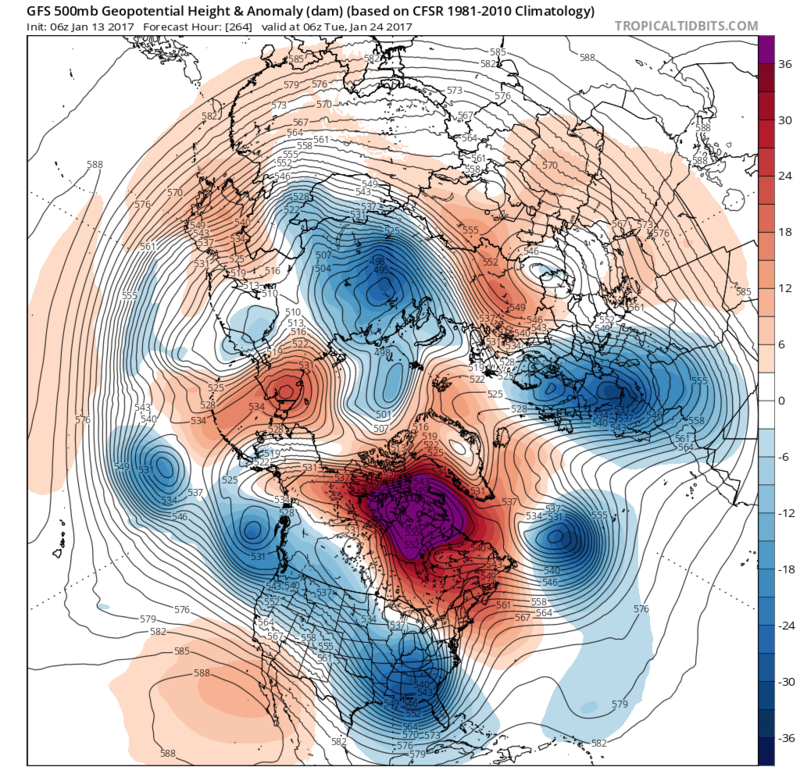 When you get blocking and a ridge in the Western US, then it means much colder and wintry weather will follow. Hopefully, for those that missed the last snow it will be more favorable for you this time around. Please do not ask, how much snow at my house questions as it is too early to delve into amounts just yet. For premium website member, we provide long-range outlooks and graphics to understand what the future may bring. Also, we send out email updates with professional weather analysis and maps that show where the greatest impacts of winter weather will occur. We pride our website on keeping the general public and businesses informed to make tough decisions that simply cannot wait until the last minute. Join today by selecting a yearly or monthly option below and find out how we are “Preparing You For The Weather”.